Are your kids interested in learning to sew? Would you like to get them started with the right sewing machine? 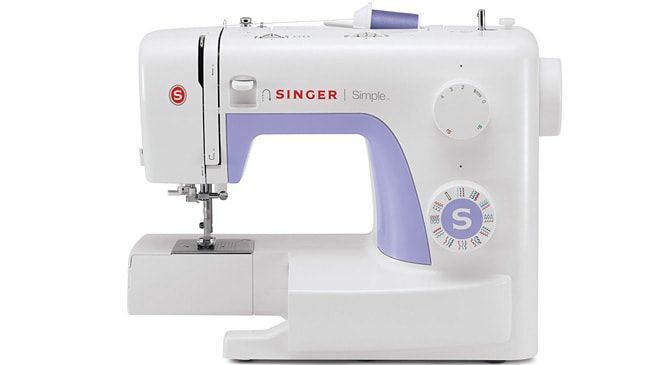 The Singer 3232 Simple Sewing Machine is the right choice. It comes with the foundational features that will give your children a strong start, and the support they will need years later in advance. unlike the traditional sewing machines, you do not have to waste time trying to fix the thread in the needle anymore. This makes it easier for your kids to remain focused and interested in their sowing activities. It also automatically selects the thread to use, hence saving you the much needed time. This feature makes sewing better, producing even results that make the sewing work look appealing. The stitches include 6 stretch, 5 basic, 1 buttonhole, and 19 decorative. The feature makes it easier for the child to make stitches without all the trouble that comes with setting them right. Sometimes your child will want to experiment with thicker layers of fabric. To make this easy, the presser foot can be raised a few inches higher to make it easier to position the work for ease of stitching. This is the feature that does not come with many other sewing machines. Slow performing machines are a complete turn-off. After all isn’t a machine supposed to help you complete your tasks fast? This kid’s machine can make a maximum of 750 stitches per minute, an exciting feature that will create excitement in the users and keep them interested in learning and also outperform themselves. The kids sewing machine allows the user to select the width and length of the stitch that they would like to use. At the top side of the machine is a length and width adjustment slide that is straightforward to use. This makes it easier for anyone using the sewing machine to produce desirable results. What could make sewing easier? Q. What Fabrics are Ideal for use with the Singer 3232 Machine? A. The machine is designed for just about any type of fabric. The needles are well adjusted so that they don’t easily break. Silk, cotton, denim, and leather can all be used with high levels of satisfaction. Q. Is the Presser Foot Adjustable? A. Yes. The height can be adjusted accordingly especially when using thick fabric. Q. Can I adjust the stitches length and width of the Singer 3232 machine? A. Yes. The machine comes with a slide that allows you to fix the length and width of the stitches you want to use. I would recommend the Singer 3232 Simple Sewing Machine to anyone who is a beginner in sewing. It will give you a robust foundational start and also make learning comfortable and enjoyable. By the time you are through with the learning course, you will be surprised at just how much you will have learned in only a short time. It is high quality, reliable, and offers a variety of decorative and utility stitches. It can be used for several varied functions, both for domestic and commercial purposes. 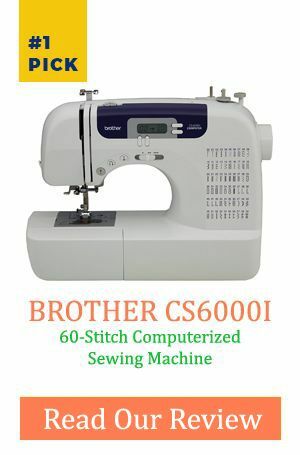 this sewing machine can be used by kids, beginners, intermediaries, and experts in the field.